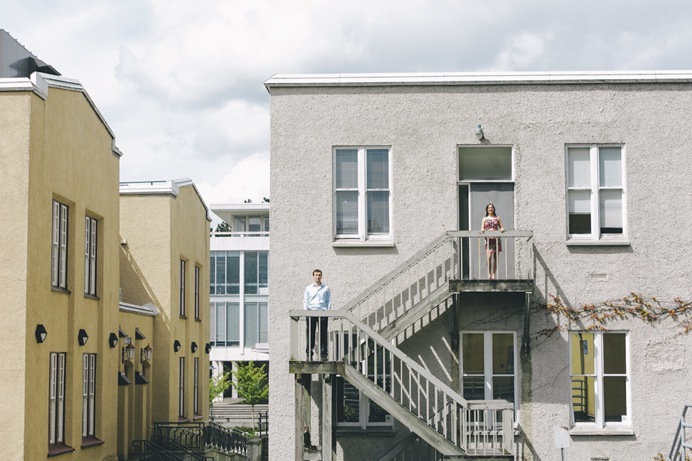 Earlier this Spring, I had the pleasure of photographing an engagement session with Tanya + Matt at UBC. 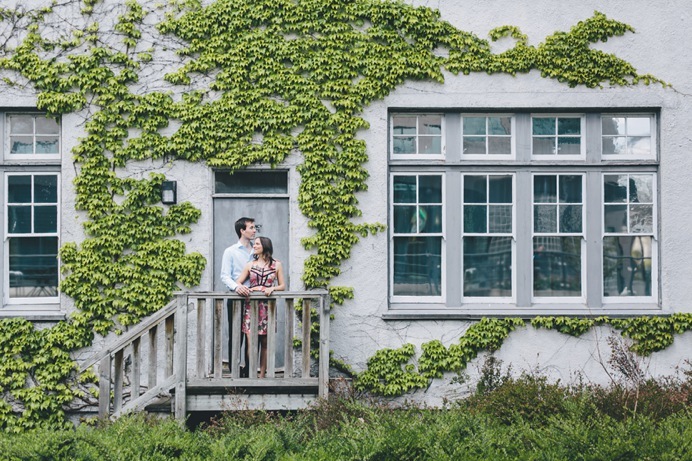 We chose this location for their photos because of the sheer variety of locations that included a mix of modern and old-world as well as nature and architectural. 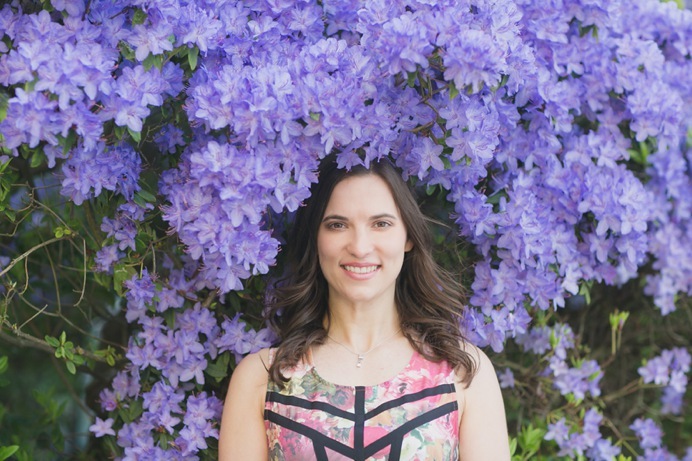 One of my favourite photos of Tanya is this one below of her surrounded by purple blossoms. It was inspired by a magazine editorial ad I was saw. We were fortunate that there were still cherry blossoms around UBC. 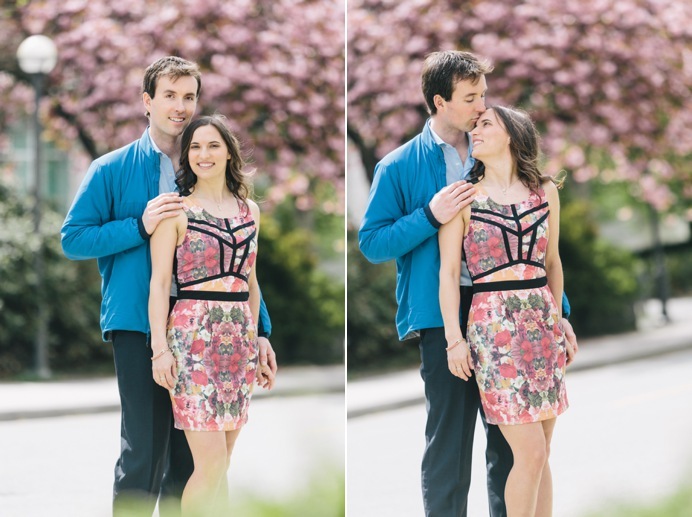 This one in particular was the most vibrant, and it looked so good with Matt’s blue jacket and Tanya’s spring dress. It was a rainy Spring season, but on dry days, we got some beautiful cloud formations that made for beautiful landscape photos of Vancouver. I looking forward to seeing Matt and Tanya at their upcoming wedding this year. 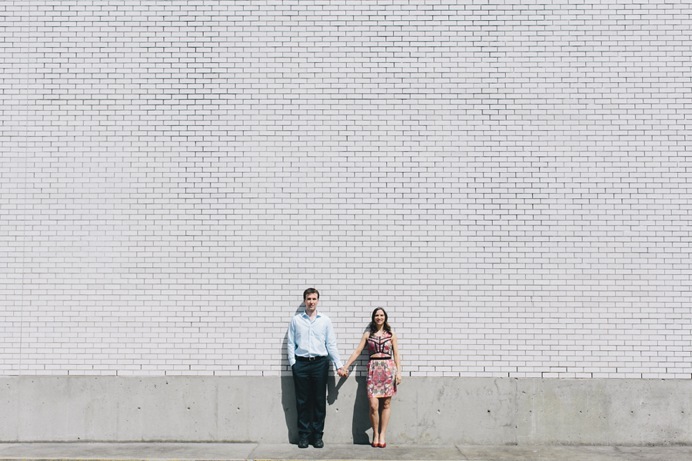 Thanks for the wonderful engagement session. 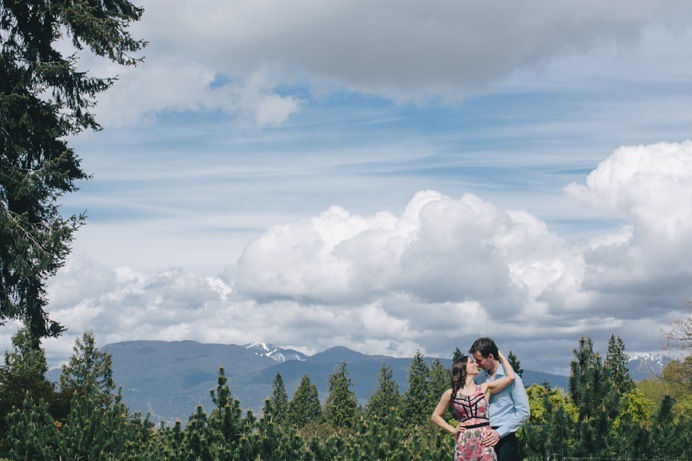 Next Post Nature Engagement Session in South Surrey | Miranda + Joey Vol 1.